The classes of 1959, 1967, 1971, 1973 and 1981 and members of the USNA Women Shared Interest Group have reserved seating sections. If you did not already RSVP, seating is also available in the general seating sections of Alumni Hall. 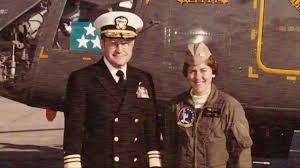 Immediately following the DGA ceremony, members of the Women SIG and Sisterhood of Mother B will gather with CAPT Wendy B. Lawrence ’81, USN (Ret) near the stage in Alumni Hall to present her with a couple congratulatory gifts and take a few pictures. Following the DGA activities, All members of the Women SIG and Sisterhood of Mother B are invited to network at McGarvey’s starting immediately following the ceremony. 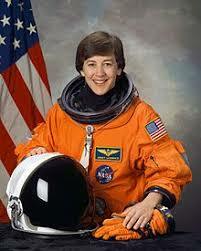 CAPT Lawrence will join the party following the formal DGA dinner. Good afternoon, ladies!! Since the Women’s SIG often receives requests for speakers at various events, we are building a database of public speakers for various events. If you would like to be a part of the database, please provide the following information to me at shannonamartin@earthlink.net and put SIG Speaker Info as the subject. Contact information to determine your availability and interest. This will be an ongoing effort. Also, if you know people are looking for speakers for their events, please let us know! We are having Battalion receptions through the month of January, and February and thought it would be a nice touch if there were a couple of female graduates in the area that would be willing to attend. Battalion receptions are our way of welcoming the graduating class into their alumni community and orienting them to the services offered by their alumni association. We also enjoy providing them a nice meal and an evening to socialize with members of their Another Link in the Chain class (in this instance, the Class of 1969). With that in mind, it would be great if there were also a few female grads socializing in the mix. Attendees are welcome to eat and drink (which is why we need to keep it to 2 max). Would you mind reaching out to fellow female graduates to see if there are people in the area that would be interested in attending and/or coordinating? Mon 04 March as the weather make-up date. Each will run from 1800-2030 at Alumni House (Ogle Hall) 247 King George Street. If no one is available, we certainly understand. 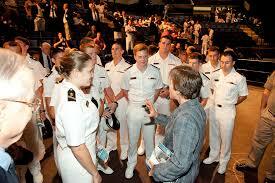 No pressure, if it is possible, we thought it would be a nice touch for the female midshipmen in attendance. And, if possible, please let me know who plans to attend one each date so we can try and get name tags made for them. I know it might be a last minute decision for some, but we will try to provide where we can! Thank you to all who volunteered to run for officer positions and to those who voted in the 2019 Women SIG elections held January 2-9, 2019! A great catalyst for a Women’s SIG gathering. Check here monthly for trivia events in your local area. If you want to host a trivia event, contact your Area Coordinator.